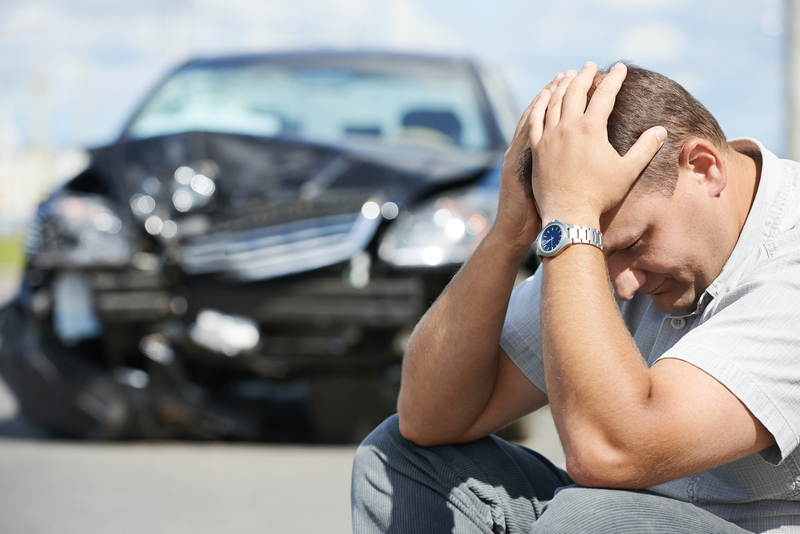 A car accident is a nearly unavoidable risk that we all take on each and every day. We all know someone who has been injured in a car accident and most of us know someone who was a victim to a fatal car accident. There is no amount of money that can replace the life of a loved one. For non-fatal injuries, we ask how much we would pay to not suffer from our injury. Is there an amount too great? The legal system never fully compensates those who have lost loved ones or who have been seriously injured, but the purpose of the legal system and its lawyers, judges and juries is to try to mitigate the damages through the award of money. If you or a loved one have been injured in a car accident, call on a lawyer that will help you maximize your recovery. According to the Kentucky Transportation Cabinet reports, in each year since 2000, there have been more than 600 victims of fatal car accidents and over 20,000 people injured. In 2017, 17.5% of fatalities were from alcohol-related accidents and 51% of fatalities were from a seat belt not in use. 6.3% of licensed drivers are teenagers, but teenagers make up 15% of all people involved in collisions. Please know the rules of the road and drive attentively and defensively. Kentucky is a no-fault state. That means that no matter who caused the car accident, everyone insured in Kentucky is entitled to Personal Injury Protection (PIP) payments from their insurer to cover medical expenses and lost wages up to a certain amount, generally $10,000. If $10,000 does not cover your costs of medical care, lost wages, or you wish to recovery for other damages such as pain and suffering, then you may bring a claim against the at-fault driver to recover under liability insurance. Kentucky law requires every driver to maintain at least $25,000 in liability insurance. Fault: Fault (liability) of each person involved in the accident is assessed and is key to determining who should recover and what percentage of damages he or she should recover. If you are the person who caused the car accident, you are not likely to recover anything. On the other hand, if you did not contribute at all to the cause of the accident, then you will have a very strong case. Kentucky is a pure comparative fault state, which means if you are 20% at fault, a jury will reduce your damages by 20%. Injuries: The type and severity of injury plays a significant role in the value of a car accident case. Generally, the more severe the injury, the more you have in medical bills, the more pain and suffering you have experienced, and the greater the likelihood of future medical treatment. Common injuries in car accidents include bulging or herniated discs, whiplash, broken bones, and brain injuries. Policy Limits: Insurance policy limits are a big factor in recovering damages. If the defendant had minimum policy limits of $25,000, but your case is worth $100,000, you may be limited to recovering only $25,000. Sometimes that is not even enough to pay back medical liens. Case Intake: The first step in your case is the initial phone or office consultation with a lawyer for the purpose of giving information about the car accident, injuries, insurance, treatment, and other relevant topics. Treatment: Treatment of injuries is important to your health and well-being and the assessment of damages in your case. Your lawyer will want you to treat long enough to get an understanding of the permanency of the injury and how much care will be required in the future. This phase can take anywhere from 0 days if you have completed treatment up to one year or more if extensive treatment is required. Evidence: Your lawyer will obtain the police report, medical records, medical bills, PIP logs, health insurance payments, evidence of lost wages, and other evidentiary documents. This phase may take up to 60 days. Demand: When the evidence is gathered, your lawyer will put together an extensive demand packet that will be sent to the responsible insurer’s adjuster. This step usually takes 14 days to complete. Negotiation: After the demand is sent to the adjuster, your lawyer begins the negotiation process. Your lawyer will advise you of each offer made by the adjuster and whether or not it is a reasonable offer. It is always your decision whether or not to accept the offer. This phase usually lasts less than 30 days. Settlement or Litigation: If an agreement is reached, the settlement process consists of signing a settlement agreement, paying off liens, and distribution of the checks. This process usually takes around 21 days. If the insurer does not make a reasonable offer, litigation is likely required to recover damages in your case. Litigation is a lengthy process that may last for years. Your lawyer will discuss your options and the litigation process with you at that time. If you are ready to talk to a Kentucky Car Accident Lawyer about your case, we encourage you to give us a call or submit a form on our contact page. Consultations are always free and we are always happy to assist you in any way as you move forward with your Kentucky Car Accident case. Our expenses and fees are a reasonable percentage of the settlement or verdict that we obtain for you. If we don’t win your case, you don’t owe us a penny. The law limits the amount of time in which you have to file a claim. Please don't wait. Contact an injury lawyer today! Tyler was warm, caring, and professional when he dealt with my car accident claim. He helped make sure I received what I was owed from two insurance companies and I was very pleased with our results. Thanks, Tyler! At Roberts Law Office, consultations are always free, you always pay nothing out-of-pocket, and we don't get paid unless you get paid. 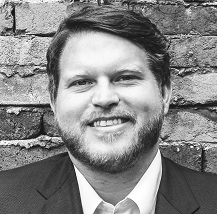 Kentucky personal injury lawyer Tyler Roberts has over 500 court appearances and has represented hundreds of clients against Fortune 500 companies, insurance companies, and individuals. The Wall Street Journal says he has moxie. His clients say he is respectful and professional. When you need Kentucky Justice, call on Roberts Law Office. Copyright 2019 © Roberts Law Office, PLLC. All Rights Reserved. Some of the content of the Roberts Law Office PLLC web site may constitute attorney advertising with the meaning of applicable bar rules. As applicable, the following statement is made in accordance with those rules: THIS IS AN ADVERTISEMENT. The information you obtain at this site is not, nor is it intended to be, legal advice. No client or other reader should act or refrain from acting on the basis of any information contained in the Roberts Law Office PLLC web site without seeking appropriate legal or other professional advice on the particular facts and circumstances at issue. Roberts Law Office PLLC accepts no responsibility for loss which may arise from accessing or reliance on information contained on the Roberts Law Office PLLC web site. Roberts Law Office PLLC hereby expressly disclaims, to the fullest extent permitted by applicable law, any and all liability with respect to acts or omissions made by clients or other readers on the basis on such information. Contacting Roberts Law Office PLLC does not establish a client relationship.